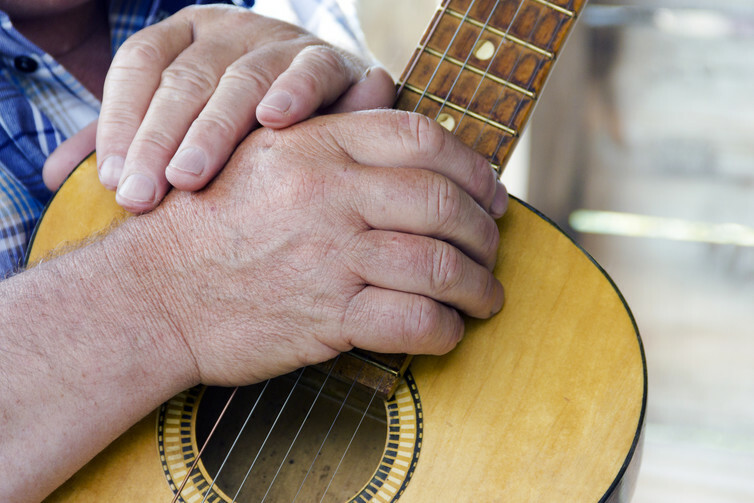 It's never too late to pick up a musical instrument. In fact there are many reasons why it's a great idea, particularly in old age. We normally hear about reasons to increase music education for children, and for good cause. There are many cognitive and social benefits to playing an instrument that aid a child's development. Consequently, as an older adult, there are long-term effects of having taken part in these musical activities, as it can limit cognitive decline. Even a small amount of training can have long lasting effects. But this doesn't mean that those who have never played an instrument in childhood have missed the boat. The ageing brain is plastic: that means it is able to learn new things all the time. So, should we consider an increase in music programs for those in the third age? It's thanks to this that piano lessons have been used to successfully retrain hand function for patients who have had a stroke. The immediate auditory feedback from each finger movement is thought to help adults reduce errors in movement and work towards moving at a more regular pace. Older adults relish the opportunity to learn something new. Cognitive benefits aside, music can also be a great social activity for older adults, facilitating social bonding and decreasing feelings of loneliness or isolation. Music programs are linked to improvements measured in markers of the body's immune system such as the presence of antibodies and vital signs (heart rate/blood pressure). It's suggested that this is a consequence of decreases in stress that can happen when taking part in musical activities. However, further research is needed to determine exactly how this relationship functions. It's vital to understand how we can aid the current generation of older adults, in terms of both health and personal enjoyment. With the myriad benefits provided by playing a musical instrument, it would seem beneficial to have a wider variety of musical activities on offer to the older generation. Wouldn't it be great if the third age wasn't viewed as a final descent from some mid-life peak, but some new act of life that opens up these opportunities? Perhaps we should give older adults the chance to develop in ways they could never have imagined before. So whether it's in independent living, retirement or assisted care, let's make the third act of life a musical one!